In 2015, UW-Madison faculty Drs. 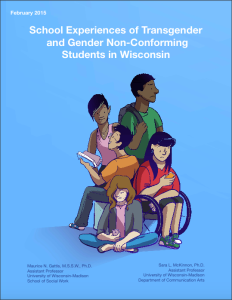 Maurice N. Gattis and Sara L. McKinnon released a new research report “School Experiences of Transgender and Gender Non-Conforming Students in Wisconsin.” The purpose of this research was to systematically document the experiences of transgender (trans) and gender non-conforming (GNC) students in Wisconsin schools to fill in the knowledge gaps about their unique needs. 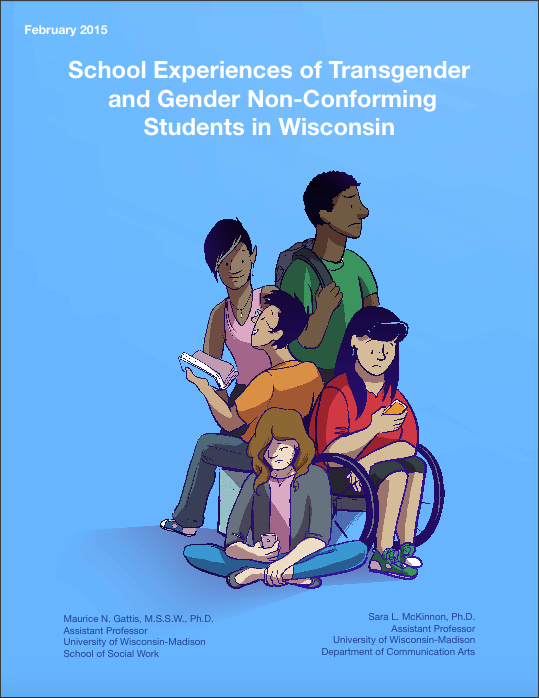 Six themes are addressed in the report: learning environment, physical facilities, health and wellness, safety, institutional and social support, and acceptance and respect. Virginia Harrison wrote a piece for Our Lives Magazine about the importance of this research report. You can read that here.